The Fettucini Brothers' Circus of Entertainment are EXPERTS in providing Top Notch, World Class, Variety, Novelty and Circus Style Entertainment events of all types. Appearances on THE TONIGHT'S SHOW w/JAY LENO and being a winner of MULTIPLE GUINNESS WORLD RECORDS are just a few of our career highlights. We can provide everything from a 1 man, Comedy Variety Show to a full 12 Act, Family Vaudeville Extravaganza Production. We specialize in working with the best and most experienced entertainers in their fields, to provide our clients with the most successful events possible. The Fettucini Brothers, The Great Fettucini, Professor Fettucini's Flying Flea Circus, The Seaside Showman, Presto "International Man of Magic", Hardin Minor - "Mime In Motion", Omimeo Mime Theater, The Comedy Cafe, Fractured Puppet Tales, The Living Statues and "Walking Tall" Stilt Characters are just some of the many many world class entertainers that we represent and regularly work with. Our resumes and credentials are fairly extensive and diverse, but a few of the highlights include: Appearances on The Tonight's Show w/Jay Leno, Winning and Holding multiple GUINNESS WORLD RECORDS, Graduates of Ringling Brothers Clown College and former touring performers from The Ringling Brothers, Barnum and Bailey Circus, appearances on behalf of Cirque Du Soleil, providing entertainment for The Olympic Village as well as countless Television appearances here in the US and abroad. We've traveled the world performing on Cruise Ships, as well as toured Japan, China and parts of Europe. 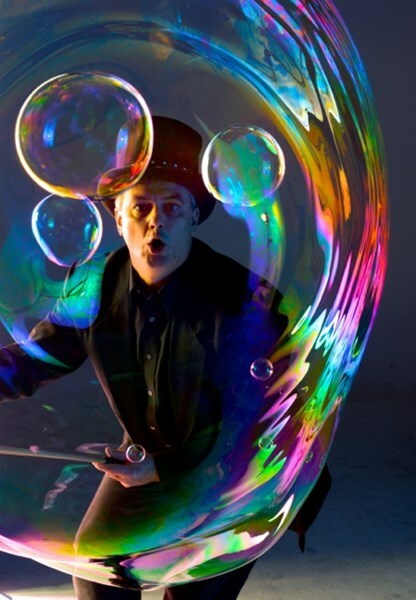 Although we specialize in Comedy, Juggling, Novelty and Circus Style Entertainment, we can also provide provide pretty much any type of "LIVE" entertainment needed. We are also experienced at working with a client to collaborate, create and conceive "custom" or "original" characters for any event. 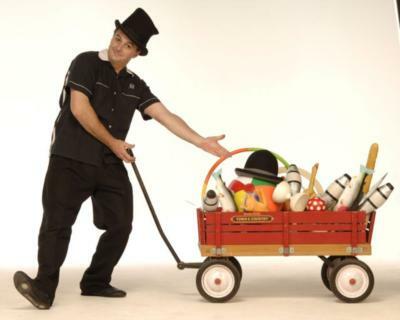 Juggler's Dancers, Mimes, Hoop Artists, Clowns, Stilt Walkers, Caricaturists, Ventriloquists, Comedians, Living Statues, Plate Spinners, Western Roping Acts, Emcees, Giant Puppets, Celebrity Impersonators and Completely "Self Contained" Family Variety Shows, are just a few things that we can help with. Great entertainer! Friendly, Fun, and talented! Highly recommended! Book this act and you will be glad that you did! Tons of laughs!! Steve was great, he had the children which were 5 and 6 yrs old as well as the adults participating. It was a great performance and I loved that everyone actually had a hands on experience in the act. But the best part of the show was the bubbles. The kids had so much fun and I have to admit that us parents were pretty amazed with them as well. We had a carnival/circus theme party for my daughters 6th birthday and Steve even made each child a balloon sculpture at the end of his show. I would definitely book him again and highly recommend him for any age party. We loved Steve's show! He performed 6 shows for us back to back for grades KG - 5th individually, and I heard nothing but awesome comments from the students and staff. He was very accomidating to our demanding schedule and arrived early for prep. We would definately recommend him to others and hope to have the opportunity to work with him again. Steve Langley was incredible! He kept the audience engaged the entire time and the age range was 3 years of age to 93! Everyone was impressed with his talents and laughter filled the room for 45 minutes. This was for an Upward Awards ceremony so the jokes and comedy were clean and family friendly. I would recommend him for any occcasion. Great experience, Steve Langley kept my residents engaged and entertained with his talent and humor. We will definatly ask him back!! For our annual end of the year celebration here at Winthrop University, we have a different theme each year. This year was Renaissance and I was lucky to find the Fettuccini Brothers here on Gig Masters. Not only were they very professional and easy to work with, but they catered to exactly what we needed for our event. Steve was a pleasure to work with from the booking, through contract and on the day of the event. I would highly recommend them for any event that needs extremely talented entertainers for any occasion. I hope to be able to utilize their services in the future. I am so pleased that we chose to hire The Fettucini Brothers'. My daughter's Sweet 16 party was a blast thanks to them. They arrived early and immediately engaged with the crowd. I was blown away by the vastness of their repertoire- magic tricks, plate spinning, juggling, unicycle, stilts, balloon shapes, fire eating, fire breathing, fire juggling- you name it! They did all of these things while involving everyone from age 6 to 65. Beyond impressed! Please note The Fettucini Brothers' Circus of Entertainment will also travel to Davidson, Denver, Charlotte, Mooresville, Mount Holly, Terrell, Concord, Alexis, Harrisburg, Iron Station, Stanley, Kannapolis, Belmont, Sherrills Ford, Landis, Lowell, Mc Adenville, Mount Ulla, Cramerton, Barium Springs, China Grove, Lincolnton, Longisland, Troutman, Dallas, Gastonia, High Shoals, Catawba, Maiden, Cornelius.